Defensive depth has become a concern for the Cleveland Browns this season and that became a bigger problem when they had to send two key members of the defense to the IR. Linebacker Christian Kirksey and cornerback E.J. Gaines are both done for the season. To help fill space on their roster, Cleveland made a claim for two defensive backs. One was Phillip Gaines, formerly of the Buffalo Bills, the other was Jermaine Whitehead who was just waived by the Green Bay Packers. 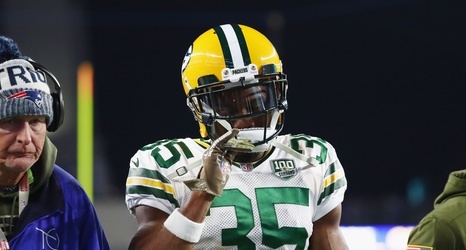 Whitehead’s name sticks out the most as he was the player who found himself ejected from the Packers Sunday night game against the New England Patriots.